I started training in the martial arts back in 1980, first at a community college studying Judo and then with a Kung Fu school in the Harrisburg area. The Kung Fu school incorporated a lot of the same techniques that we use at the Nackord Kenpo Karate System. I eventually moved on to other schools and instructors, some good, some not so good. 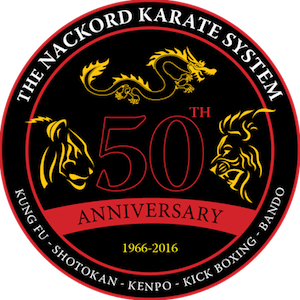 The long and short of it was that I had an opportunity presented to me when I called the Nackord Kenpo Karate System and Mr. Nackord asked me to come in to talk to him back in July of 1987. I remember so vividly my first meeting with Mr. Nackord because the first thing he said when we met face to face was "Call me Dennis". No other instructor I had ever met was so polite or pleasant. Other instructors at other schools that I had met wanted to show me what they could do...Dennis wanted to know what I could do as well as what I had been doing and took it from there. 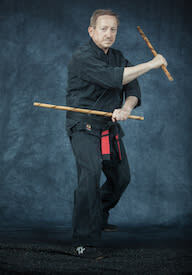 Dennis encouraged me to attend seminars and tournaments for not only Kenpo but with other styles of Martial Arts. His insight into training for Martial Arts tournaments offered me an opportunity to have a positive experience with tournament participation. Goal setting became an important part of my training experience, which I have carried over to my personal and professional life. I was honored to receive my First Black Belt on June 8, 1991--just four years and a few days after my first meeting with Dennis. Since 1991, Dennis has subsequently honored me with promoting me to my present level of Fourth Degree Black Belt. Since 1987 it has been an experience that has helped me develop not only as a martial artist but as a successful person in life.